Home News How Much Does Double Glazing Cost? 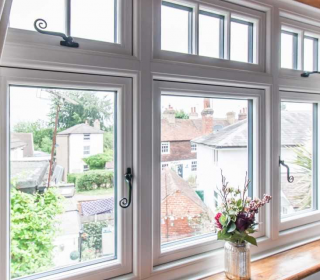 The cost of installing double glazing in your home is dependent on many factors including the window style (eg casement, sliding sash or tilt & turn) and the frame material required (eg uPVC or aluminium) as well as the number of windows and the sizes required. How the Window Style Affect Double Glazing Costs? The most popular styles of window in the UK are casement, sash and tilt/turn. Casement windows are normally the cheaper option as the design is simpler compared with the other styles of window. How Does the Window Frame Material Affect Double Glazing Costs? The 2 main types of window frame material are uPVC and aluminium. uPVC is normally the cheaper window frame material, while aluminium window frames are normally more costly. Learn more about the difference between uPVC and aluminium windows What Is The Difference Between UPVC Windows And Aluminium Windows? To get an easy online cost for double glazing, we have developed a unique, convenient and easy online window quote system, simply enter the size, quantity of windows required and our system will generate an online cost for you – Get a Free Double Glazing Window Quote Now.